Cell phones could be the next PC — but their future, and that of the Internet, might depend on the actions of large wireless carriers. 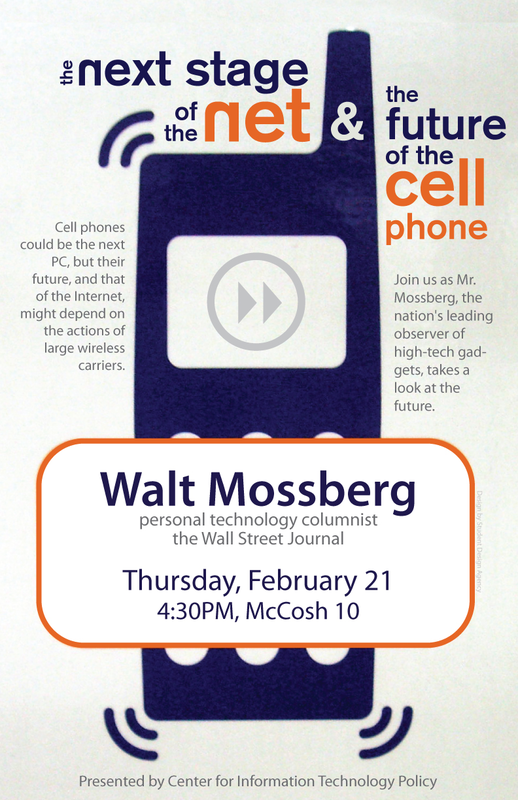 Join us as Mr. Mossberg, the nation’s leading observer of high-tech gadgets, takes a look at the future. 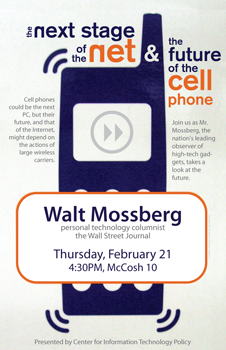 Walt Mossberg is the Personal Technology Columnist for the Wall Street Journal. For more information, see All Things D.
CITP studies digital technologies in public life. It is a joint venture of the School of Engineering and Applied Sciences and the Woodrow Wilson School.